This is the window for complete mark overview of pupil. For a description of the buttons please scroll down. 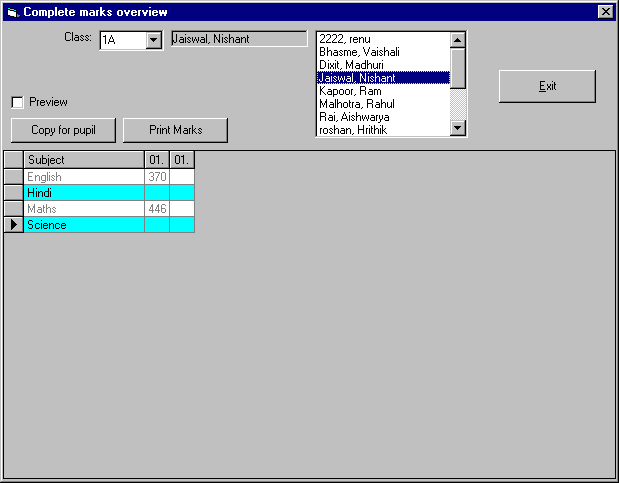 This is the window for complete mark overview of pupil.